Harvest time is getting near in the Upper East Region of Ghana. Pelungu Primary School, partner Antwerp International School, under the Best of Both Program, has also started harvesting its first yields from the organic vegetable garden that was established at the school premises in June 2014. 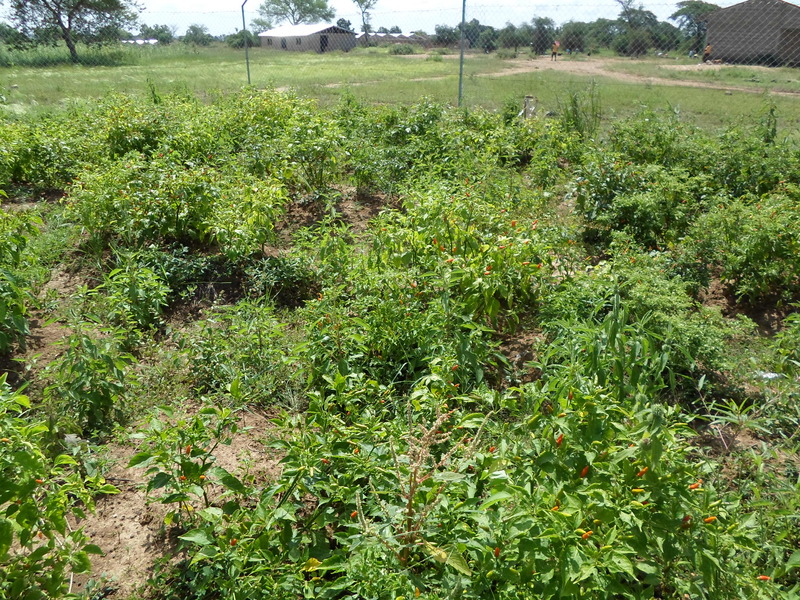 The pupils of the school are witnessing the organic cultivation of pepper, aleefu (a local leafy vegetable), tomatoes, cowpea, and maize at the school base through. The school is successfully harvesting the produce of the garden. The tomatoes which are not stored for long after ripening are incorporated in the school meals to augment the Government feeding program at the school base and the aleefu is sold to the community members. 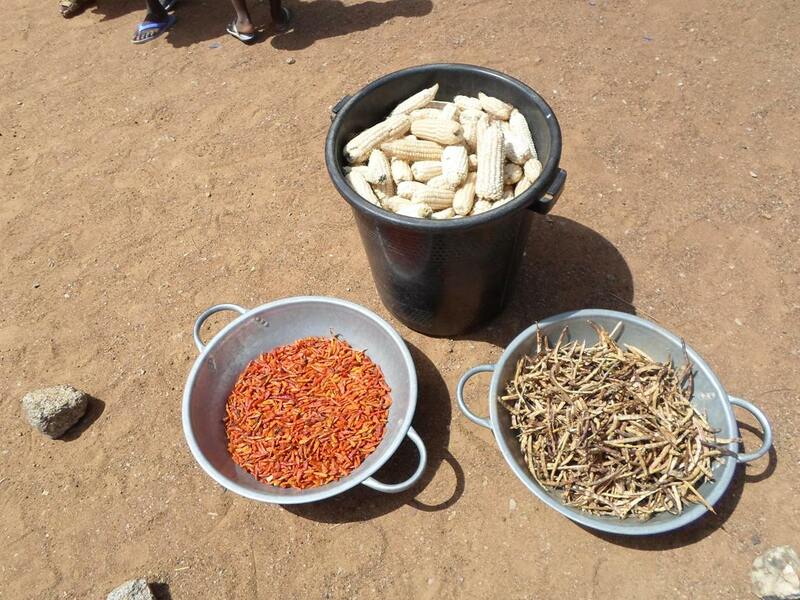 The fun of preserving the cowpea, pepper and maize for future use has also begun. 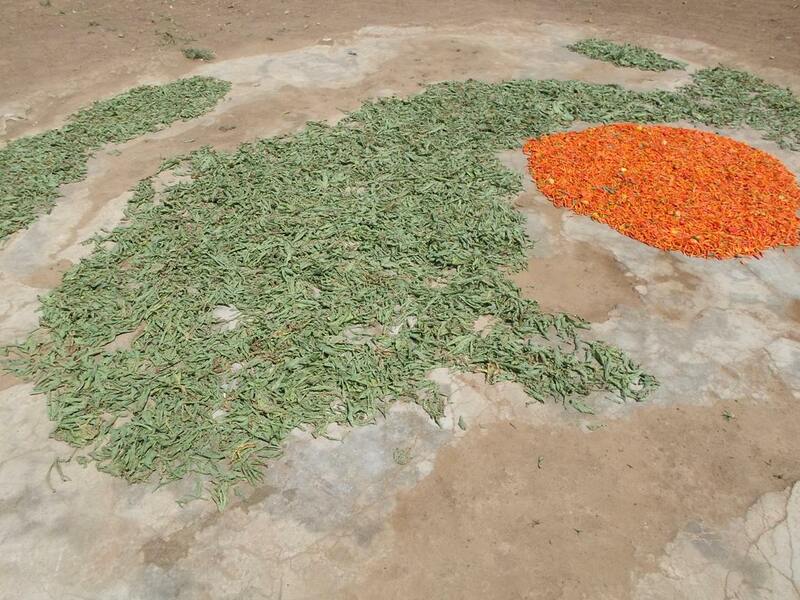 The pupils are instructed to spread the produce on a platform to sun-dry them as they are being harvested gradually. This entry was posted in Agriculture, Education, News Update and tagged Antwerp International School, garden, harvest, organic, Pelungu, preservation, school, vegetable. Bookmark the permalink.